Sign up for our newsletter and get the latest HPC news and analysis. Today the Indian Institute of Technology Kharagpur announced that it will be the first academic institution to open a supercomputing facility under India’s National Supercomputing Mission (NSM). This will provide large computational support to users to carry out both research and teaching activities that involve state-of-the-art HPC and usher in a new age in research and innovation in the country, an IIT-Kharagpur spokesperson said. “The Petaflop new system with both CPU and CPU-GPU based servers along with the already existing HPC equipment will provide about 1.5 Peta-Flop capacity support to several areas where the researchers of IIT-KGP are actively involved,” said IIT-KGP Director Prof P P Chakrabarti. Today Mellanox announced the opening of its new APAC headquarters and solutions centre in Singapore. 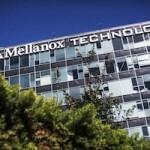 The Company’s new APAC headquarters will feature a technology solution centre for showcasing the latest technologies from Mellanox, in addition to an executive briefing facility. The solution centre will feature the innovative solutions enabled by latest Mellanox technologies including HPC, Cloud, Big Data, and storage. India’s Centre for Development of Advanced Computing (C-DAC) has developed an affordable supercomputer for universities conducting high-end research. Already deployed at 25 institutions, the Param Shavak is a GPU-accelerated desktop machine that sports over 2 Teraflops of performance. Today, through their ability to adapt, solve problems and simulate human intelligence, AI-based applications are being used across industries and sectors to supplement human ability. Download the new special report from insideHPC, “Augmented Intelligence in Government,” brought to you by Dell, to discover the latest technologies that underpin AI, explore current machine learning applications in government, learn from real-world successes, and see how government agencies can benefit from AI.